Not sure who wrote the report you found on a government website or corporate webpage? 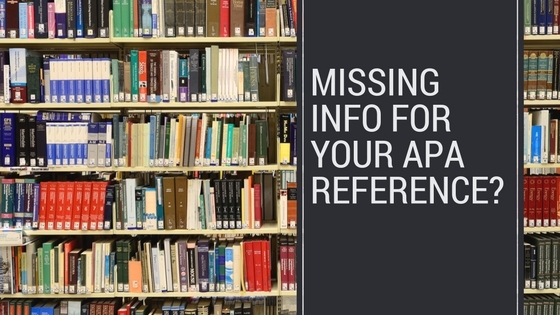 Missing dates of publication or other important information? 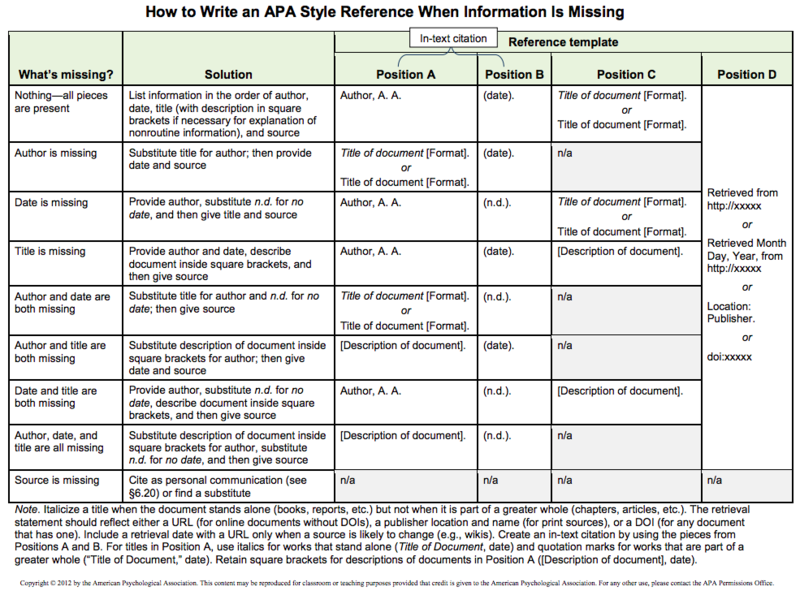 Here’s a guide to adapting the information you do have to APA citation style from the APA Style Blog written by Chelsea Lee, Missing Pieces: How to Write an APA Style Reference Even Without All the Information. Read the article in its entirety for more guidelines.